Stephanie is a native of Florida, having been born and raised in Polk County, Florida. She graduated from Converse College, in Spartanburg, South Carolina, then obtained her Juris Doctor degree from Stetson University College of Law. 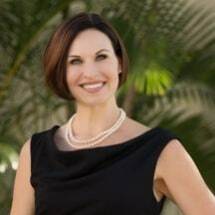 Stephanie began her legal career representing the State of Florida Department of Revenue (DOR), Office for Child Support Enforcement, through a private contract law firm. As a DOR attorney, she prosecuted child support cases, by establishing paternity for unwed mothers, establishing child support for custodial parents, enforcing previously-entered child support orders, and modifying same when legally justified to do so. Stephanie left the public sector and came to Sarasota, where she became a member of its thriving legal community. In private practice, Stephanie has had the opportunity to expand the narrow field of child support to the larger, complex discipline of family law. As a private practitioner, she has become active in the legal community, she was appointed by the Supreme Court of Florida for her second 4-year term as a member of the Mediator Qualifications Discipline and Review Board, which is part of the Alternative Dispute Resolution Center for the Supreme Court; she belongs to the Florida Association for Women Lawyers in Sarasota; and the Family Law Section of the Sarasota Bar. In the past, served as a Guardian ad Litem, Judge for the Teen Court program, and a Big Sister for the Bigs in School program through Big Brothers and Big Sisters. Stephanie's practice areas include adoption, from step-parent and relative adoptions, to private placement adoptions; as well as the broad spectrum of family law, including divorce; paternity; child support; property division; custody and visitation; enforcement and modification; and prenuptial agreements. Stephanie also serves as a volunteer with the education program "We Are Sarasota" an educational program and event put on by local judges, lawyers and residents and students from our local performing arts high school and the Westcoast Black Theatre Troupe which takes place each spring.